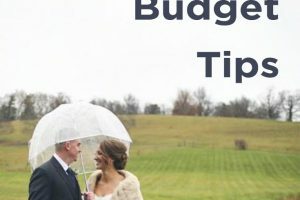 Feeling stressed about your wedding in one month? Follow this list to stay on track for the last month of wedding planning before your big day! Can you believe that just one month separates you from the beginning of your happily ever after? That’s right, in a matter of weeks you say “I do” to your true love and begin a new chapter of your life. That time flies by sooo quickly – if you blink, you might miss it! Take a deep breath, we promise it’s all worth it! 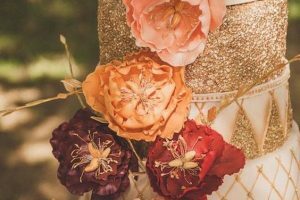 Your special day will be as magical as you’ve always dreamed – just follow this 1 month wedding planning checklist for a stress-free final month! There are certainly a few shots you just HAVE to have, right? Those Pinterest dream board poses you’ve ooh’d and ahh’d at from time to time. Pass along a list of these desired photos to your photographer in advance so they can plan accordingly! Seeking inspiration for your wedding photos? Check out these unforgettably beautiful wedding photographs – some of our absolute favorites! We all have those relatives who just LOVE to talk each other’s ears off. Putting them together is a match made in heaven! Choosing the seating chart may seem like a daunting task, but this essential duty can actually be a lot of fun! Just try to make sure any guests traveling alone (perhaps a grandmother or old roommate) is placed near someone they are familiar with! You’ve taken the time to decide where each guest is going to sit, now it’s necessary to make sure they find their assigned seat! After creating your table cards – be sure to contact your venue and discuss how and where they will be displayed at your reception. Calling in advance decreases the chance of any last minute mix ups! This one is ESSENTIAL. Daily life gets hectic, there’s no denying that. Talk to your fiance in advance to set up a time when you are both free to go get this important document – and plan extra time in case of a wait. 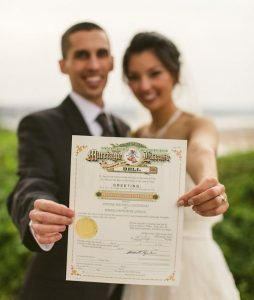 Psst….did you know taking a picture with your signed marriage license is a current wedding trend? The final night before your wedding is a big one! 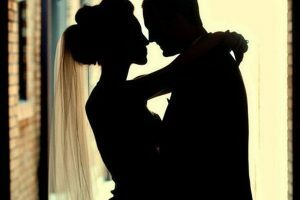 Throughout your engagement, you’ve had special people by your side whom you’ve invited to take part in your wedding. The rehearsal dinner is both a great ‘thank you’ to these individuals as well as a final run through to make sure your wedding will go smoothly! 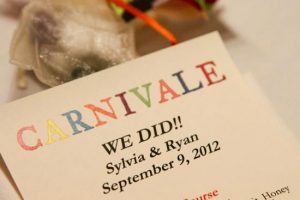 Let guests know in advance if you wish for them to join you at the rehearsal dinner. You sent out the invitations AGES ago, and yet you’re still trying to find out if dear Aunt Margret is actually coming to your celebration. In fact, you realize there are several potential guests who have neither confirmed nor denied their attendance. Take this opportunity to call anyone who has not given you a concrete answer in order to ensure you know how many to expect. Did you know – opting out of a wedding video is one of the most common wedding regrets? 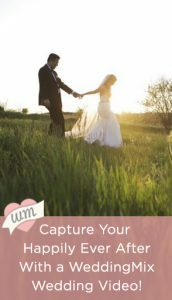 The video of your dreams doesn’t have to push you over budget – with WeddingMix, capture each precious moment through the eyes of the ones you love most! 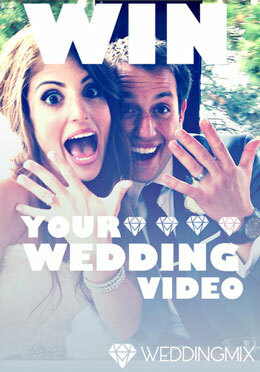 Every package includes a custom-edited video and free downloads of all the media filmed by guests! Your own guests will take on the role of videographers – able to capture intimate moments you’ll love to re-watch for years to come. 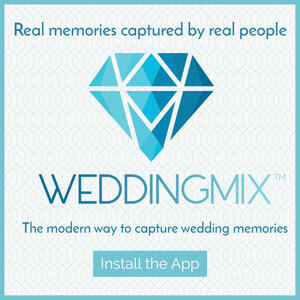 Then, editors at WeddingMix transform it all into a personalized wedding video for less than the cost of your heels! How exciting is this one? This is when it all starts to feel so real – these bands will symbolize your love for the rest of your days, and see them in person is soooo exciting! Speaking of this particular rhyme… check out these 11 AMAZING Etsy finds for an affordable something blue! If you have certain tunes you wish to hear at your celebration – this is the time to let the DJ know! Especially for that first dance and the father-daughter dance! Having a hard time deciding on your playlist? Check out this expert advice on selecting the perfect wedding song list! You debated over roses vs. lilies for long enough before making your decisions. Make sure to touch base with your florist to confirm your order and set up a delivery time at the venue. 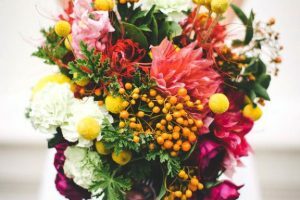 Still trying to decide on the right flowers? 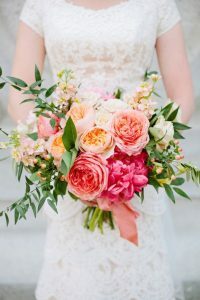 No worries – check out this article to see what wedding flowers are in season on your big day! You want your nails to look as flawless as your dress on your wedding day! Making an appointment further in advance ensures you don’t find out the week of that the salon is booked up! When are you going to cut the cake? How long after guests arrive at the venue will you and your new spouse make your grand entrance? There are so many details to take into account – save yourself the headache and create a timesheet of when the major events are going to happen. Pass this along to your DJ, wedding party, and any vendors it may effect. 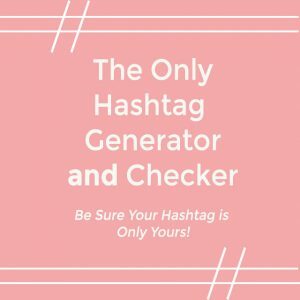 This is a really important one! Make sure you’re paid up on all the important things: your venue, cake, DJ, etc. 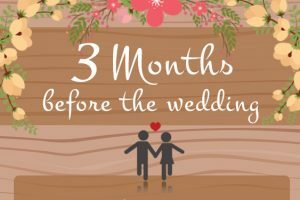 And there you have it – the 1 month pre – wedding checklist! 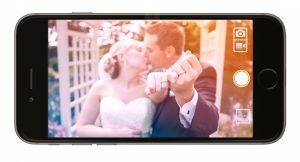 Remember to capture every moment of your wedding celebration with a custom DIY wedding video! You’ll love re-watching the magical highlights with your loved ones! 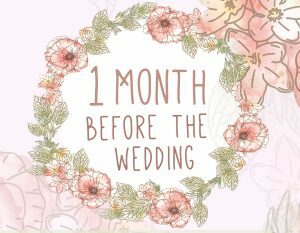 Tell us – what do you think of the 1 month wedding planning checklist? Do you have anything to add?